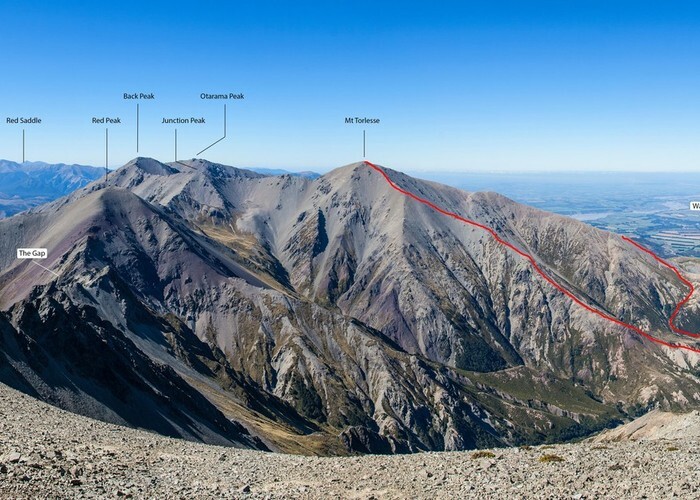 Common routes up Mt Torlesse - the direct SW spur, and an alternative up a side stream behind the hut to a saddle then a climb of the South Ridge. Honora You can descend down between those 2 routes and sidle to the true right of a waterfall as well. Nice variant. Added 17 May 2016 by HarleyJHarleyJ. No revisions.